Coracle officially set off on its journey in February, 2012, but it’s formation began quite a while before that, even from the first days Tara and I (Bill) began seriously contemplating a move from the inner-city of Washington DC to the Shenandoah Valley of Virginia. 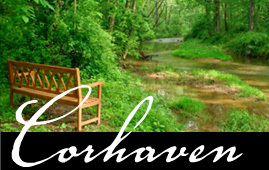 When it became clear that we could indeed move as a genuine “Yes” to God, to a small retreat farm that would become known as Corhaven, it also became immediately evident that some sort of structure, like a non-profit organization, would emerge as well that would enable us to offer coherently whatever ministry God would use us for. After many prayers and conversations, and much time and reflection, what is now Coracle came clear. 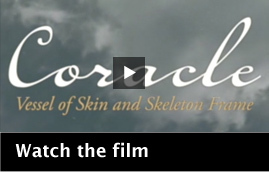 Coracle is a non-profit organization (501c3) that exists to inspire and enable people to be the presence of God in the world by offering spiritual formation and Kingdom action. We do this through spiritual direction and discipleship, retreats for individuals and groups, sacramental ministry and services, pilgrimage, communication, and through ministries of mercy and justice, creation care, and mission trips. As this was clarifying, what was not expected and yet wonderfully emerged along the way, was that maybe this non-profit could be something that would enable others to offer spiritual direction too, and even more. We became excited that maybe this could be a way for trained spiritual directors to more easily connect with those who are seeking a spiritual director but having a hard time finding one since such a thing might not be part of their Christian tradition. I realized that if Coracle was going to make it possible for me to offer spiritual direction more sustainably, it could probably do the same for others. Others might be able to benefit from the non-profit status in order to receive donations for their ministry, or would be blessed by an organization through which they could raise funds if they needed to. And this would mean also that more people who were seeking it could find a spiritual director, which can be a difficult challenge! So, in short, Coracle is conscientiously designed to allow a place where trained spiritual directors can offer spiritual direction a way that they can be part of a group and receive unique support, be connected with potential directees, receive donations for spiritual direction or other ministry, raise funds, and use Coracle’s developing communication resources. It also creates a context for easier conversations about that awkward relationship between spiritual direction and money. Beyond enabling the offer of spiritual direction, however, we realized that inasmuch as Coracle would help Tara and me do what we’re uniquely called and gifted to do, maybe others could take advantage as well of a non-profit structure to do what they’re uniquely called and gifted to do. Maybe other ‘spiritual entrepreneurs’ could use this vehicle to continue on their journey of creative faithfulness, but with others who themselves were familiar with the terrain of stepping more fully into who one is and offering more freely what one has to give. In other words, anyone who God is calling to step more fully into his or her unique self, offering, and visions could benefit from participating with this small group of fellow travelers, and become a associate. How Does One Join as a Spiritual Director or Associate with Coracle? For someone interested in being an Associate, who has something they’d like to pursue and feel Coracle is a helpful venue to do that with, it begins with a conversation with the Director. In this capacity, each person’s vision will obviously be unique, so each person’s process will be unique! For those interested in using Coracle as a potential venue as a Spiritual Director, there’s a couple of clarifications and a bit more of a process. First, those offering spiritual direction through Coracle will have received formal training in spiritual direction or some suitable equivalent. Second, how one practices spiritual direction will take the shape of that unique spiritual director, in style, amount of time, and what, if any, donation amount is suggested. 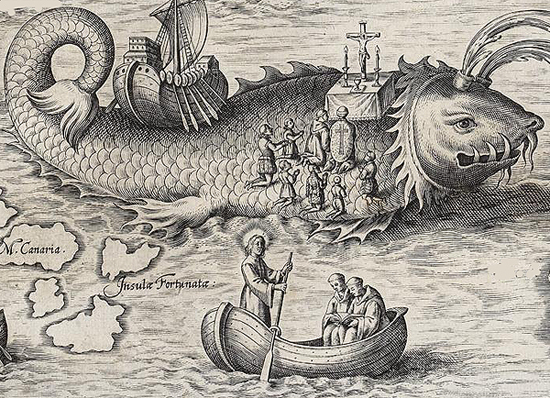 In other words, Coracle does not have a set style of spiritual direction we ascribe to, though we do definitely ascribe to an orthodox Christian faith rooted in the Apostle’s Creed. As for process, to help us get to know potential spiritual directors a bit better and be better able to refer potential directees, some information is helpful, and we have an informal application/information form. If you would like to discuss this further or get that form, contact Margot Eyring, our Spiritual Director Coordinator. As Coracle is a 501c3, governed by a board of directors, it should be understood that the board is responsible for establishing and changing polices for the organization as are right and necessary from time to time. Many of those will not directly affect associates or spiritual directors, but when they do, such things will be communicated promptly, and certainly associates and spiritual directors are welcome to speak into the organization.